Help struggling parents find biblical answers through Real Parent Life™! All around us are moms and dads who are just “winging it” at parenting. They feel ill-equipped, regularly second-guess themselves, and wonder if they’re getting it right. Now, a wonderful new opportunity has come up to reach 5,000 families this summer through one of the largest child evangelism organizations. Every summer, they minister to children all around the country through their vacation bible school curriculum. We are excited to partner with them, and you can help! 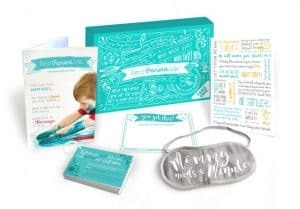 Your generous support today will help us to raise $50,000 by May 31, to supply this organization with Real Parent Life packs to give to participating families. What a great way to connect struggling parents to much-needed answers … and to introduce them to their Heavenly Father who loves them. At just $10 per pack, imagine how many families you can impact. © Copyright 2019 FamilyLife®. All rights reserved. FamilyLife® is a 501(c)(3) nonprofit corporation, and all gifts are tax deductible as allowed by law. All contributions to FamilyLife are income tax deductible and are made with the understanding that FamilyLife has complete discretion and control over the use of all donated funds. In the event that the project described in this fund appeal is fully funded, delayed or canceled, the excess funds will be reassigned to a ministry need most closely identifying with the project for which the funds were originally given. We are processing your transaction. Please do not close the browser or click the back button.